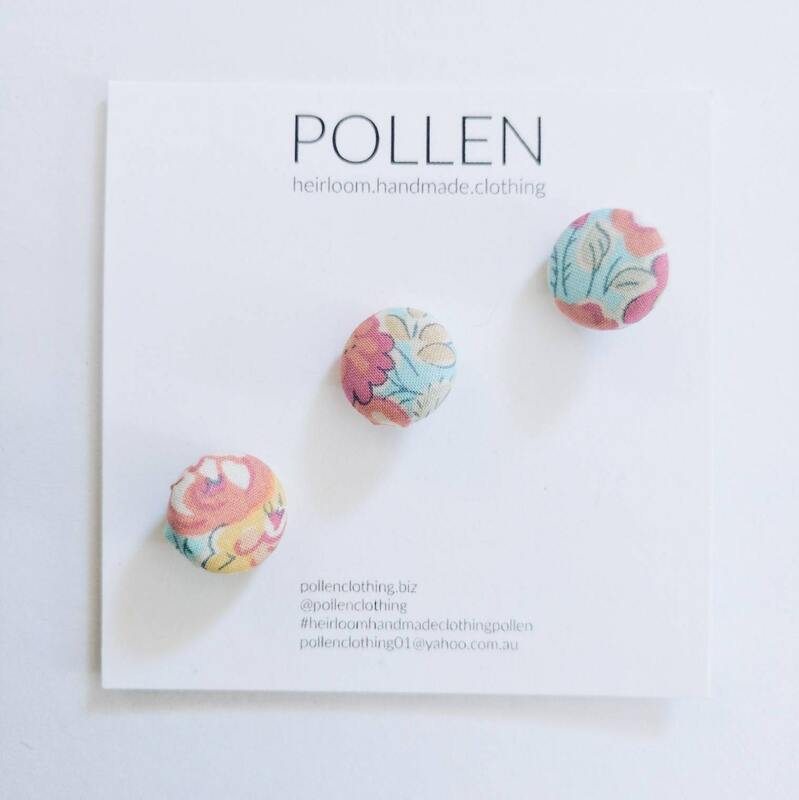 SET OF THREE (3) Liberty Fabric Tana Lawn covered buttons, perfect for adorning clothes handmade for those special little girls and boys. Alternatively, replace the standard buttons on your silk business shirts to bring a touch of femininity and unique style to your daily workwear. Perfect for hand-knit items as the fabric covered button ensures it is snag-free for those delicate yarns. Can be gently machine washed, although recommended that you remove the buttons before soaking a garment. Custom quantities and fabric choices welcome, please just message the shop.